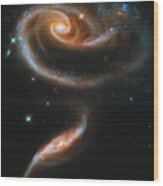 There are no comments for A Rose Made Of Galaxies. Click here to post the first comment. 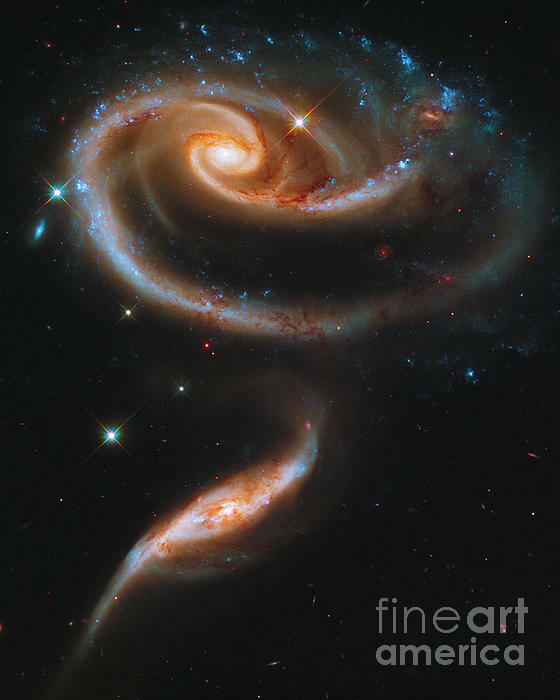 A "Rose" Made of Galaxies File # Astro-010-b This image shows the interacting galaxy pair called Arp 273. 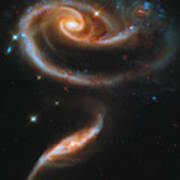 The disk of the larger galaxy is distorted into a rose-like shape by the gravitational pull of the companion galaxy below it. 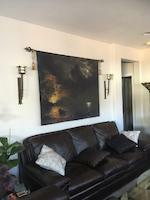 A swath of blue, jewel-like points across the top is the combined light from clusters of bright and hot young stars.